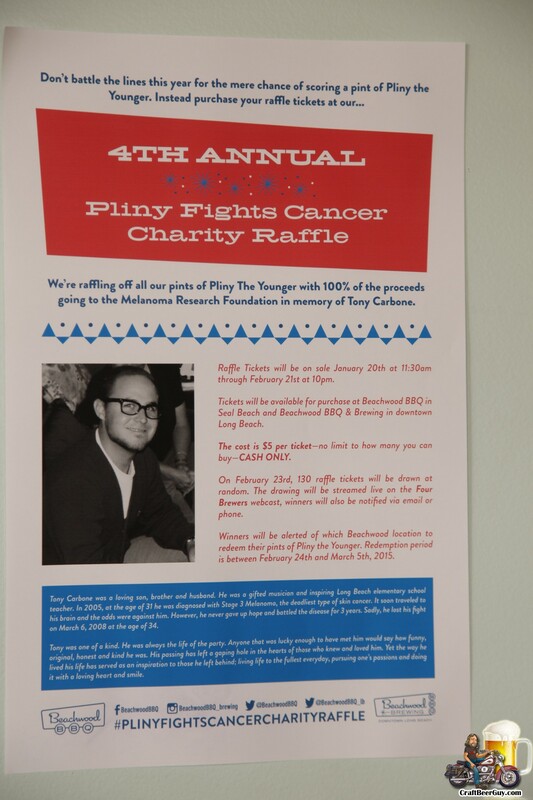 As I announced last month, Beachwood BBQ & Brewing was holding their 3rd Annual Pliny Fights Cancer fundraiser by selling chances for an opportunity to win a pint of Pliny the Younger, the seasonal triple IPA released by Russian River Brewing every February. 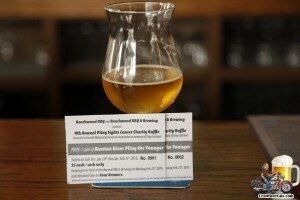 Raffle tickets for the chance at one of the 130 pints were drawn Monday afternoon. Beachwood raised $7,000 in 2012 and $9,000 in 2013 with a goal of $10,000 for 2014. Thanks to all of Beachwood’s loyal customers they shattered this goal by raising a little over $14,000 with 100% of the proceeds benefiting the Melanoma Research Foundation. On Monday morning staff from both the Long Beach and Seal Beach Beachwood BBQ locations along with friends of Tony Carbone, the inspiration behind this fundraiser, select regular patrons and various media types like Craft Beer Guy, Beer Paper LA and New Brew Thursday who streamed the event live, gathered at the Long Beach location for the drawing. For those that were unable to watch the New Brew Thursday podcast, do not fear; the winning raffle ticket numbers have been posted on the Beachwood BBQ website. Winners will also be contacted via telephone and/or email so you might want to check your email today and be sure to answer your phone, even if you do not recognize the calling number. 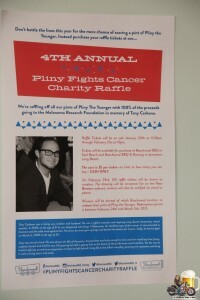 Winners must collect their pint of Pliny between Tuesday February 25 and Thursday March 6. You must bring your raffle ticket with you and redeem it at the location designated. Unfortunately, where you bought the ticket may not be where you will have to go to redeem it.